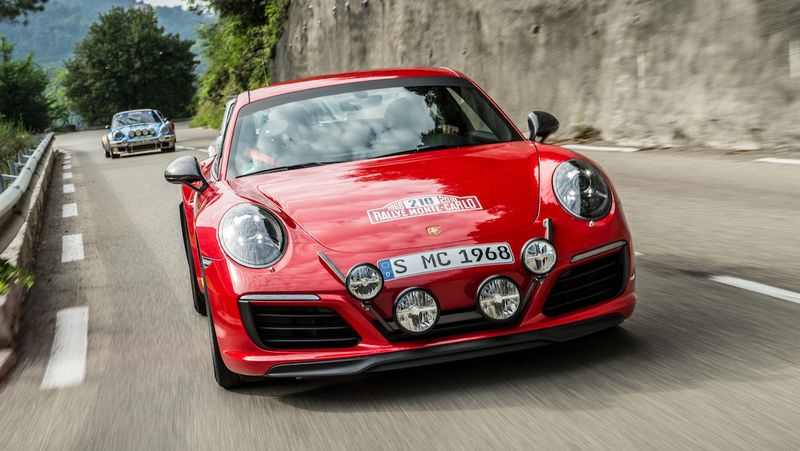 We figured out Porsche's secret is that the company is at its strongest during years ending with the number eight. 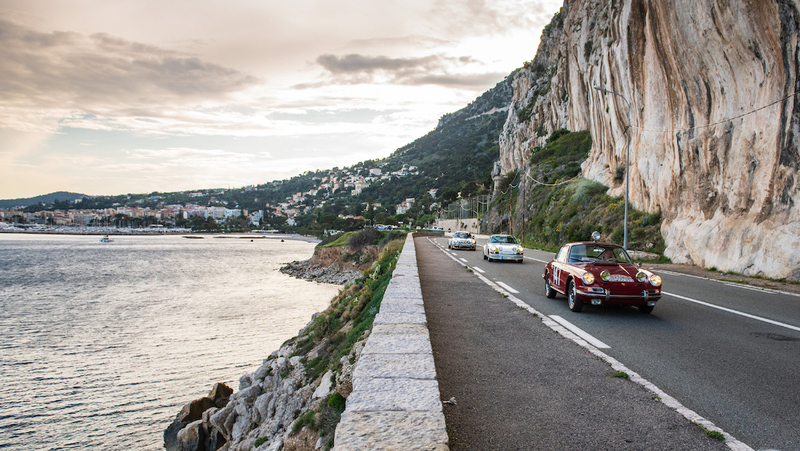 This year, Porsche celebrated the 70th birthday of the 356 sports car, which rolled off the assembly line in 1948. 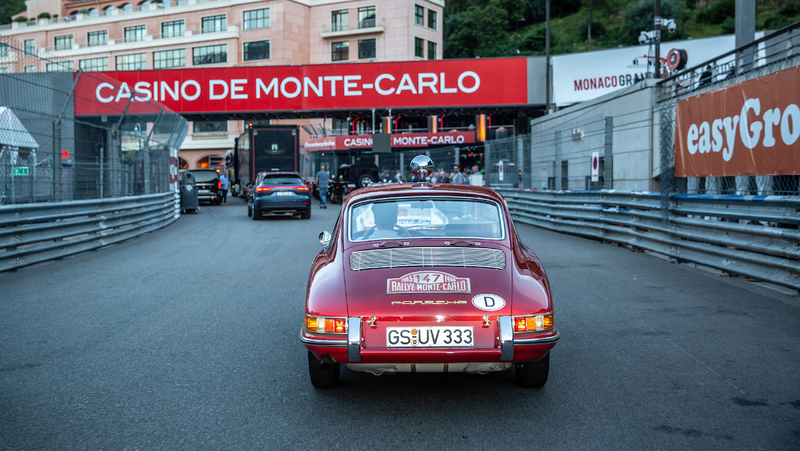 In addition, 2018 marks the 50th anniversary of Porsche's first overall win at the Monte Carlo, as two 911 Ts crossed the line for a one-two finish in 1968, the first piloted by Vic Elford. 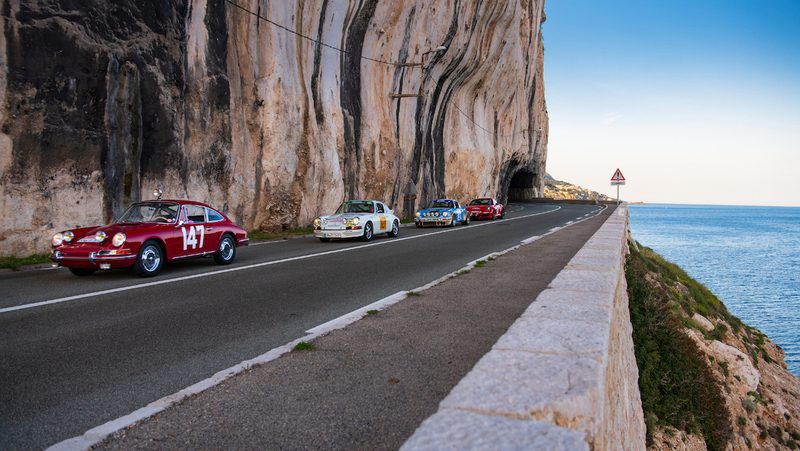 Jean-Pierre Nicolas won the rally in a 911 Carrera 3.0 ten years later, unknowingly securing Porsche's last overall victory at Monte Carlo. 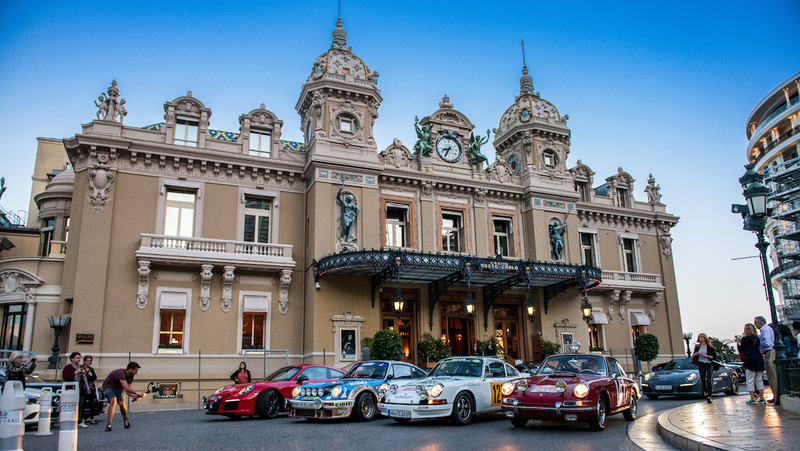 This June, five ex-rally drivers gathered at the Col de Turini stage of the Monte Carlo Rally to drive five iconic Porsches to celebrate the brand's first and final victories in Monaco. 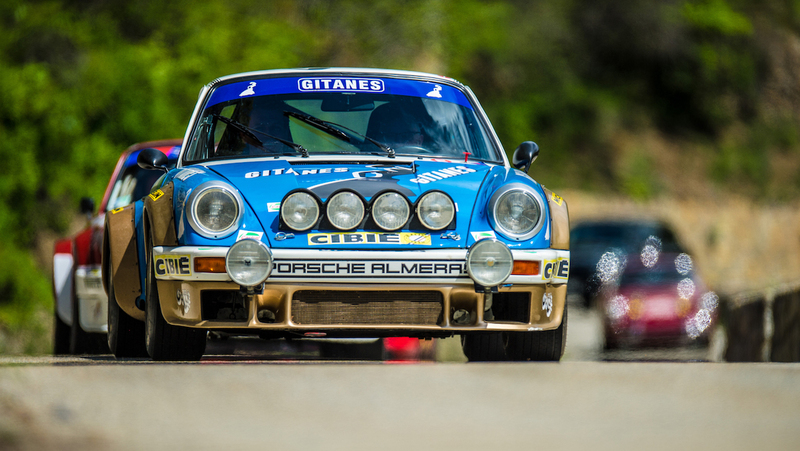 Porsche's YouTube channel recently put out a video about the historic drive, and it's worth a watch for rally nerds, Porsche fans, and anyone in between. 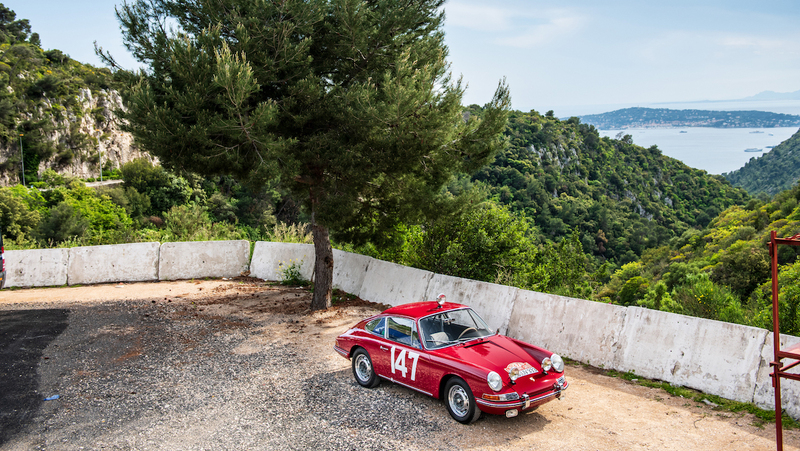 For context, Herbert Linge is the driver of the ruby red 911 2.0 Coupe. 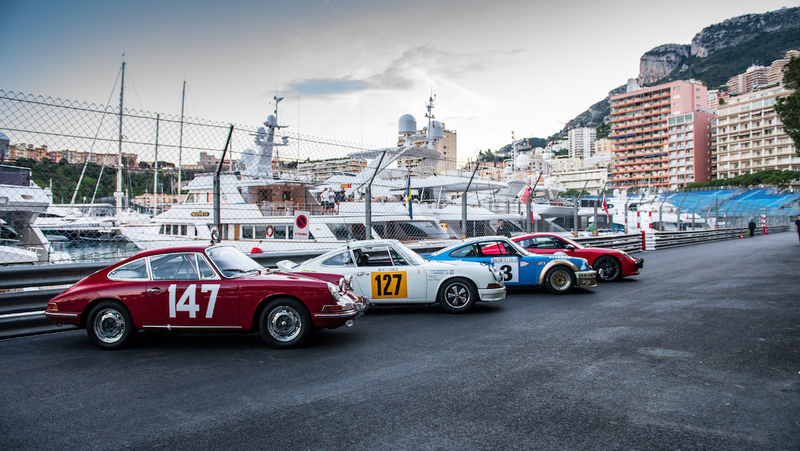 Both Linge and the car participated in Porsche's first outing at Monte Carlo in 1965, placing eighth overall. 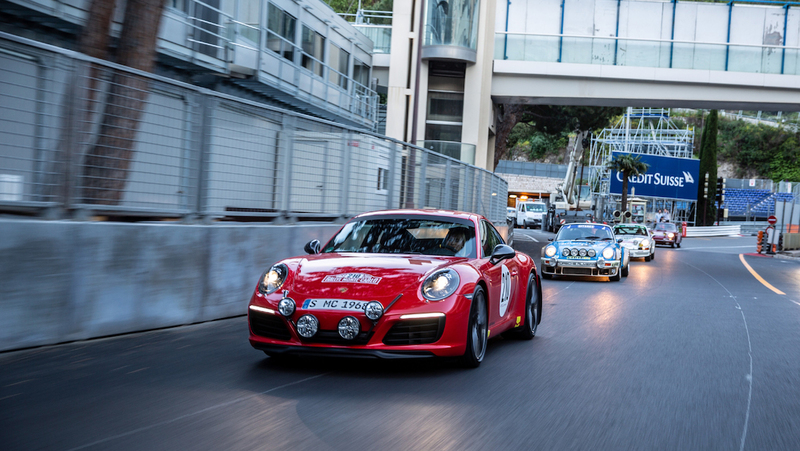 “For marketing purposes, all I had to do was take an early 911 and just arrive in one piece – end of story," Linge explained. 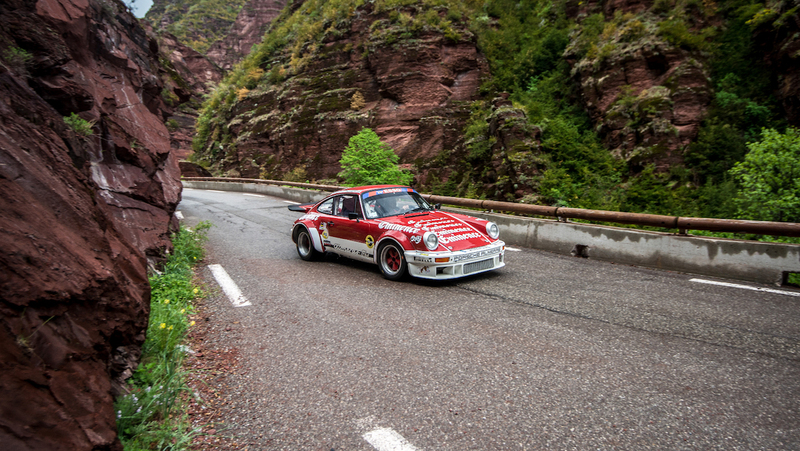 French hill climb racer Jaques Alméras, who co-founded Porsche tuning shop Alméras, is driving the red and white 1974 911 3.0 Group 4 car, which he was crowned the French mountain champion in the "GT Special" class with the same year it was built. 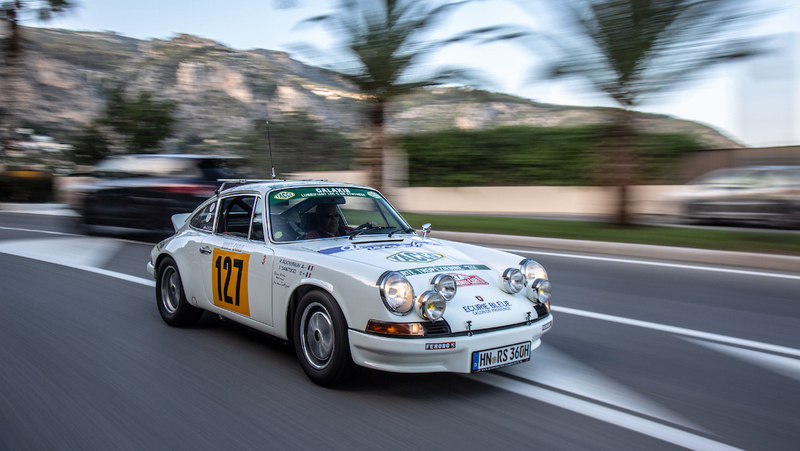 Once confined to the passenger seat as co-driver for Jean-Jacques Santucci in his white 1972 911 Carrera 2.7 RS at the 1978 rally, Rene Rochebrun now pilots the actual car at the reunion. “We were practically at the front and it made us feel very important. But in reality we played only a small part," he recounts, having placed 17th overall. 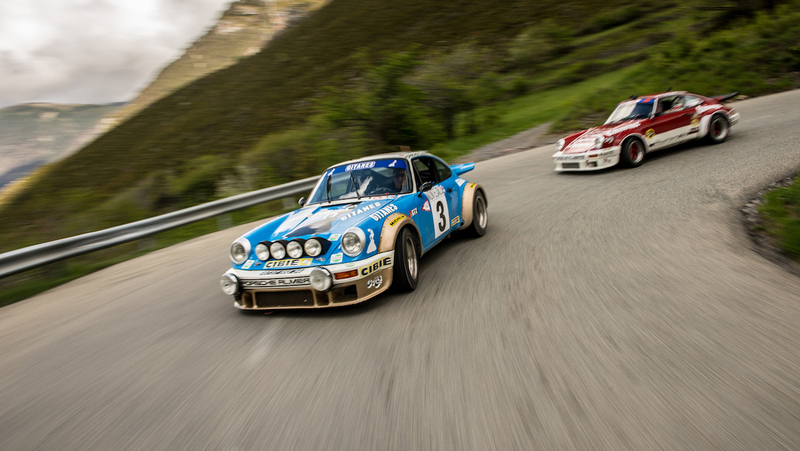 Jean-Pierre Nicolas is once again behind the wheel of the blue and gold 1978 911 SC he drove during Porsche's last win at the Monte Carlo Rally. The car is Group 4-spec, except for the engine which uses Group 3 components to make it more manageable in the snow. 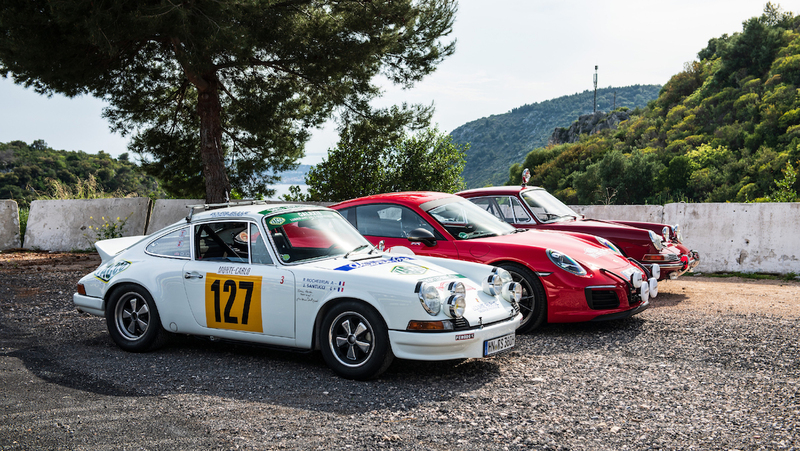 Despite claiming the first Monte Carlo win for Porsche, Vic Elford is the only legend without a historic rally-spec 911 to play with, choosing instead to drive the stripped-down 2018 911 Carrera T. Appropriately, this new 911 was built to pay tribute to the 911 T he drove in 1968. 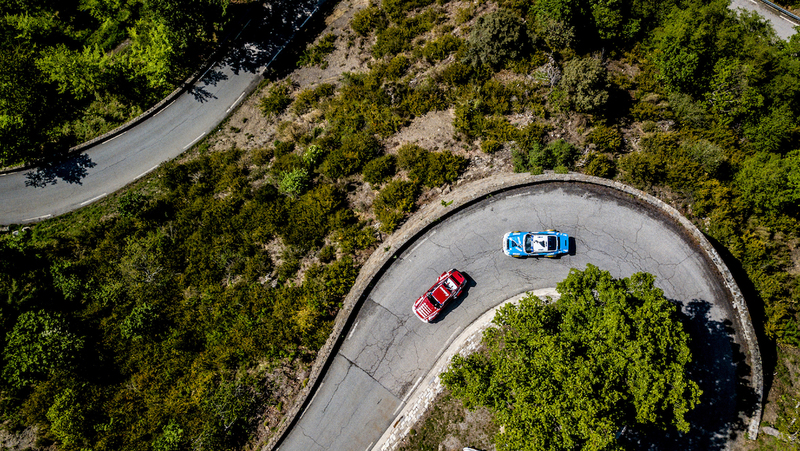 "The best car I have ever driven in my life," Elford said regarding the Carrera T.
If the video wasn't enough, check out the gallery below of the coolest reunion of Monte Carlo rally legends, both in car and human form. This is a road-legal variant of a race car version of a production road car, and an important blip in the 964's history. 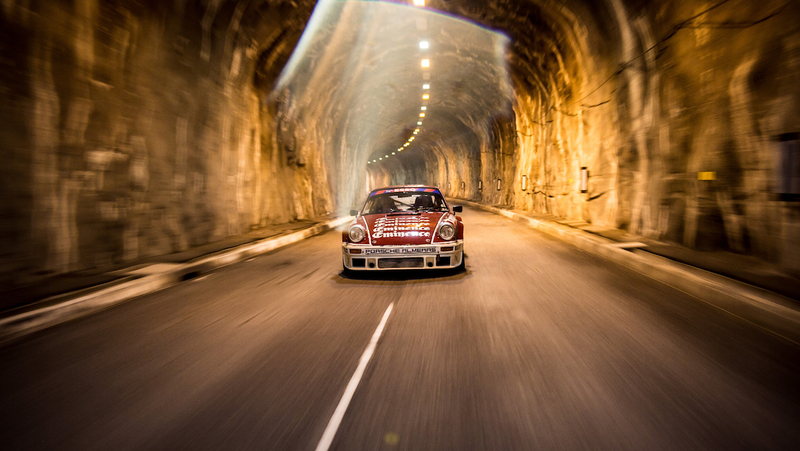 Luftgekühlt reimagines a 1987 Porsche 3.2 Carrera and turns it into a one off rally car. 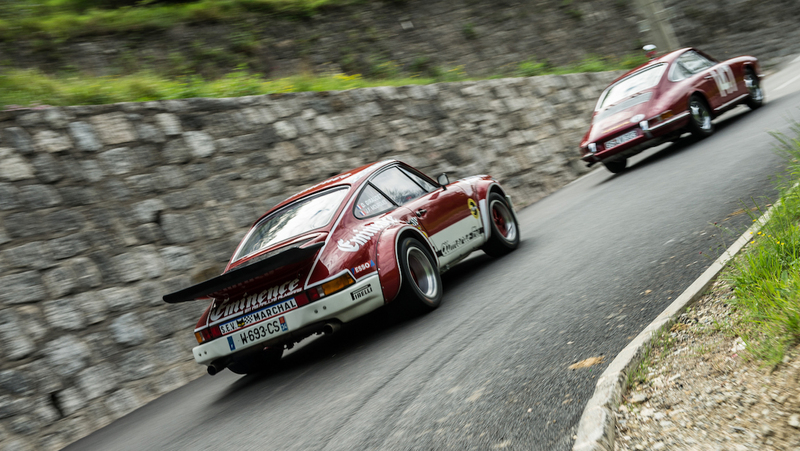 When you race in a tarmac rally with a vintage RSR-style long-hood, you win at life.